Get up and running fast with the PowerPoint 2019 PowerPoint continues to be the go-to tool for business presentations. The software helps anyone who needs to communicate clearly by creating powerful and effective slideshow presentations featuring data in the form of charts, clip art, sound, and video. You can even use it to create presentations for the Web. 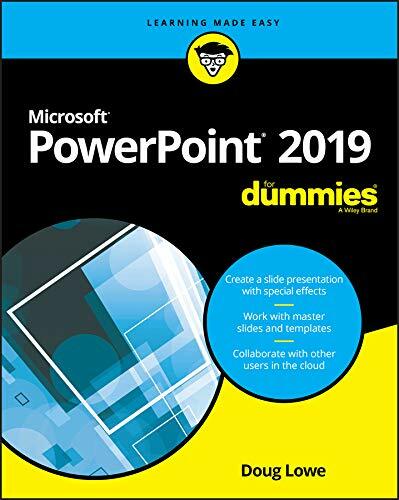 In PowerPoint 2019 For Dummies, expert Doug Lowe shows you how to use this popular tool to make show-stopping presentations that will get your message across -- and your audience excited. Create a slide presentation with special effects Work with master slides and templates Collaborate with other users in the cloud Add charts, clip art, sound, and video Want to learn to use PowerPoint quickly and efficiently? Look no further!